Ethereum (ETH) – KEY POINTS: Currently one of the top cryptocurrencies in the world, Ethereum continues to make progress in leaps and bounds. Commonly referred to as Ether, this cryptocurrency has seen a steady rise in value ever since its launch. Moreover, there have been major contributions to the cryptocurrency in terms of mass acceptance, financial support and expert interest in improving its infrastructure. These factors have worked together to prop up the price of this cryptocurrency. Ethereum is currently valued at $854.07. This is a 1.313% increase in value from its previous price. Here is why the sky is the limit for this altcoin and why you should invest in it. Ethereum recently received a grant worth $100 million from the Ethereum Community Fund (ECF). The money is expected to be used for helping the infrastructure grow. Moreover, the funds will be directed to developing businesses and projects that are built in this cryptocurrency’s ecosystem. This contribution is guaranteed to solidify Ethereum’s position as one of the most valuable cryptocurrencies today. The Ethereum Community Fund (ECF) is made up of blockchain projects which launched multi-million dollar Initial Coin Offerings (ICOs) in 2017. They are six in number and include Cosmos, Golem, OmiseGo, Raiden, Maker and Global Brain from Japan. 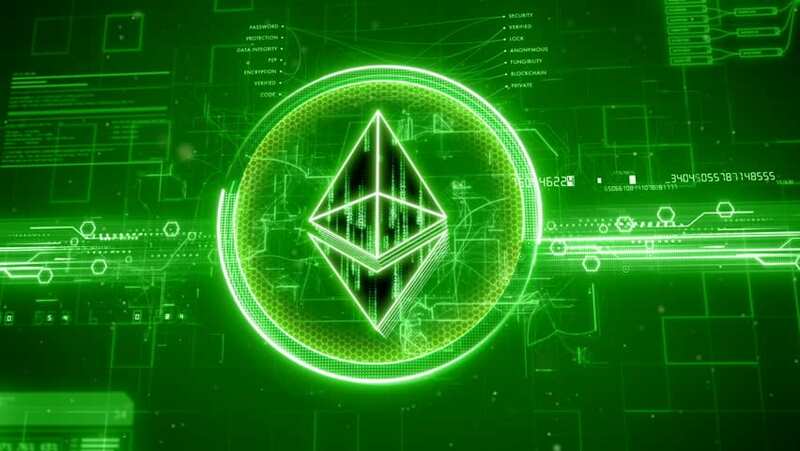 The funds contributed by the ECF projects will be directed by the Ethereum Foundation of which Vitalik Buterin is a member. The founder also has some news for developers seeking to use the Ethereum platform. Recently, there was an observation that projects which are built on the Ethereum platform and focused on improving scalability are not getting enough funding. As such, Vitalik Buterin has pledged that he will use his shares from OmiseGo and the Kyber Network to fund these projects. Seeing as OmiseGo is worth $1.8 billion and the Kyber Network is worth $370 million, his shareholding has substantial worth. Mr. Buterin further explained that his advisory skill will only be applied in these blockchain projects and any startup projects which meet his requirements. For a blockchain startup project to be considered by Mr. Buterin, it must be the fully open source and not have any profit system built into it. Moreover, it must run perfectly. Vitalik will assist Ethereum Blockchain projects to get funding without having to perform an ICO. He is ready to make grants which range in value between $50,000 and $500,000 per project. He is also ready to provide more money so as to fund the creation of longer-term solutions and development of technologies. Cryptocurrencies share a number of characteristics with stocks and bonds. For example, a new cryptocurrency enters the market through an Initial Coin Offering (ICO) while a new stock is introduced through an Initial Public Offering (IPO). The similarities are bound to increase with the recognition of the Ethereum blockchain as a platform for the launch of cryptocurrencies. Today, there are 580 cryptocurrency tokens in the industry. Out of these, 475 are constructed and launched on the Ethereum platform. How is this possible? Ethereum has made it very easy to launch a cryptocurrency on its infrastructure. The process begins with creating a smart contract with Ethereum to perform an ICO. After that, you can set up the marketing platform and indicate that your new token can be bought at a specific amount of Ethereum. Investors in your ICO can then send Ethereum tokens to a predetermined wallet. After that, they can receive your newly-minted tokens in exchange. In the world of high finance, this process is known as book building and is facilitated by investment banks. Having noticed that, Ethereum is about to compete with Wall Street and provide an alternative for clients seeking this service. The Ethereum infrastructure not only makes it possible for budding project developers to create and issue tokens, it is now going to take on the investment banks on Wall Street. Thanks to its constantly innovative development team, Ethereum is one of the top altcoins you can purchase. Its value is high and poised to rise higher. Astute investors and traders should buy with no limits! Coin Losses & Gains | Which Coin Lost the Most Since 2018 Started?